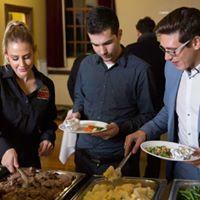 Coast to Coast The Golden Roast is Australia's spit roast catering specialists. Since launching in 1983, we have been an intrinsic part of thousands of celebrations for families across Australia. We are a full-service catering company that comes direct to you. Equipped with all the essential mobile facilities to make your event a success, our professional staff are there to provide a delicious, no-fuss dining experience. Coast to Coast the Golden Roast caters for all events. Whether you are looking to celebrate a wedding, corporate function, sporting event or other important gathering, our service is designed to make sure you can have as much fun as your guests. We prepare, cook and present the food, so you can completely enjoy your event and entertain your guests.